The main images of the front side are a boy with a ball under his arm and a goalkeeper diving for a ball. The coat of arms of the Russian Federation is located in the top left corner of the front of the note. 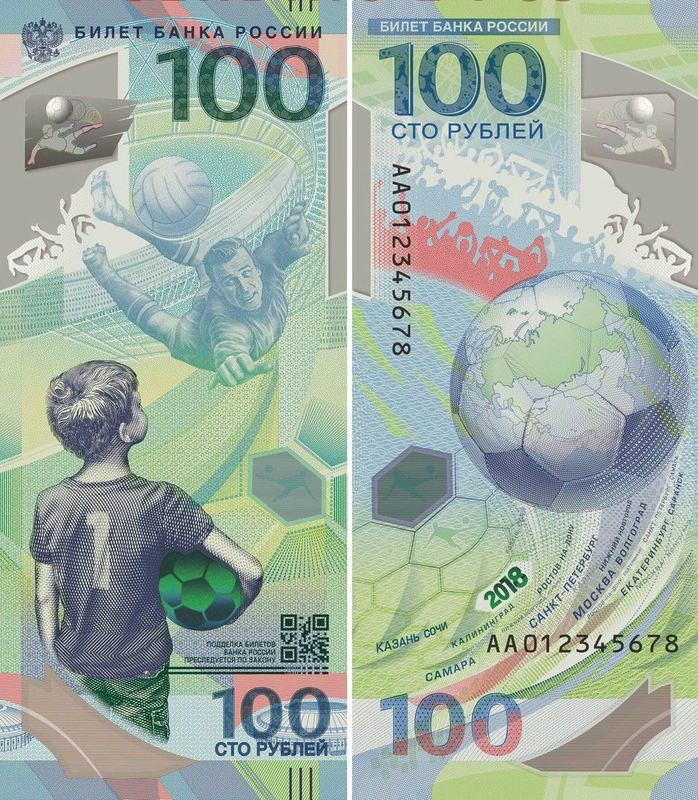 The artistic composition of the front side of the banknote symbolizes continuity of generations - the boy dreams of repeating the achievements of great players, such as goalkeeper Lev Yashin, whose name is inscribed in the history of world football. On the reverse side there is a flying soccer ball, symbolizing the globe, on which the map of Russia stands out. Below - the names of the cities in which the matches of the championship will be held: Moscow, Kaliningrad, Kazan, Krasnodar, Nizhny Novgorod, Rostov-on-Don, Saint Petersburg, Samara, Saransk, Sochi, Volgograd, Yaroslavl, and Yekaterinburg. The use of a polymer base allowed to apply in the banknote visual protective features, which due to the transparency of the polymer can be checked from both sides. For example, a bright holographic image at the top of it. On the back of the note, there are two serial numbers, which consist of two letters indicating the series followed by nine digits. The right number is printed on the short side of the note, the left number on the long one. The top part of the note bears a transparent window that contains a holographic element. The banknote was put into circulation on May 22, 2018. The note is printed on polymer. This is the first polymer banknote issued by the Bank of Russia. The predominant color of the banknote is blue-green. Dimensions 150 x 65 mm. The holographic element consists of stylized images of a stadium, a football player and a football. The monochrome image of the football appears 3D. The trajectory of the ball becomes visible depending on the viewing angle. When the note is tilted, the player’s uniform becomes brightly colored. When the note is swayed, the image of the stadium and the outline of the player have an iridescent shimmer. 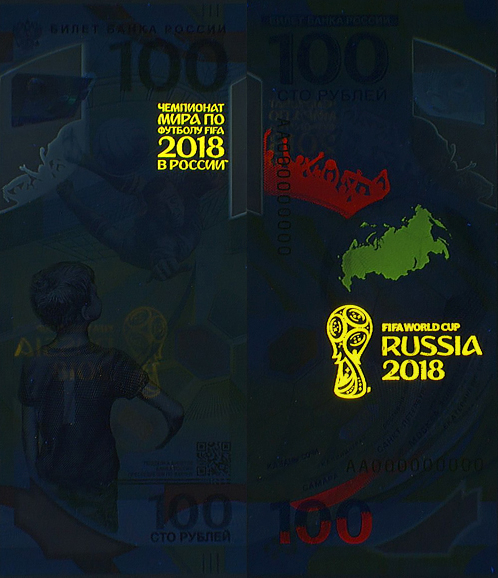 The official logotype of the 2018 FIFA World Cup; becomes visible under ultraviolet light. USSR goalkeeper Lev Yashin makes a superb save after a shot from Italian forward Alessandro "Sandro" Mazzola at the 1966 World Cup. Italy-USSR match (16 July 1966), where Yashin saved a penalty. "Yashin plays football better than me" — Sandro Mazzola after a 1963 Italy–USSR match, during which Yashin saved his penalty. Lev Ivanovich Yashin (Russian: Лев Ива́нович Я́шин, 22 October 1929 – 20 March 1990), nicknamed the "Black Spider" or the "Black Panther", was a Soviet professional footballer, widely regarded as the greatest goalkeeper in the history of the sport. He was known for his athleticism, positioning, stature, bravery, imposing presence in goal, and acrobatic reflex saves. He was also deputy chairman of the Football Federation of the Soviet Union. Yashin earned status for revolutionising the goalkeeping position by imposing his authority on the entire defence. A vocal presence in goal, he shouted orders at his defenders, came off his line to intercept crosses and also ran out to meet onrushing attackers, done at a time when goalkeepers spent the 90 minutes standing in the goal waiting to be called into action. His performances made an indelible impression on a global audience at the 1958 World Cup, the first to be broadcast internationally. He dressed head to toe in black, thus earning his nickname the 'Black Spider', which enhanced his popularity. Yashin appeared in four World Cups from 1958 to 1970, and in 2002 was chosen on the FIFA Dream Team of the history of World Cups. In 1994, he was chosen for the FIFA World Cup All-Time Team, and in 1998 was chosen as a member of the World Team of the 20th Century. According to FIFA, Yashin saved over 150 penalty kicks in professional football – more than any other goalkeeper. He also kept over 270 clean sheets in his career, winning a gold medal at the 1956 Olympic football tournament, and the 1960 European Championships. 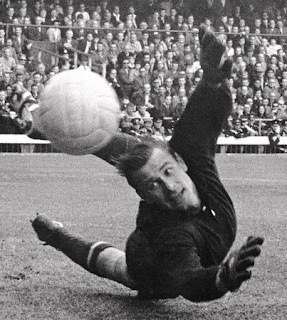 In 1963, Yashin received the Ballon d'Or, the only goalkeeper ever to receive the award. He was voted the best goalkeeper of the 20th century by the International Federation of Football History & Statistics. In 1954, Yashin was called up to the national team, and would go on to gather 78 caps. With the national team he won the 1956 Summer Olympics and the 1960 European Championship. He also played in three World Cups, in 1958, 1962 and 1966. Yashin is credited with four clean sheets out of the 12 games he played in the World Cup finals. The 1958 World Cup, played in Sweden, put Yashin on the map for his performances, with the Soviet Union advancing to the quarter-finals. In a group stage match against the eventual Cup winners Brazil, which the Soviet team lost 2–0, Yashin’s performance prevented the score from becoming a rout. He was selected into the All-Star Team that World Cup. Yashin was nominated for Ballon d'Or in 1960 and 1961 and placed fifth and fourth, respectively. In 1962, despite suffering two concussions during the tournament, he once again led the team to a quarter-final finish, before losing to host country Chile. That tournament showed that Yashin was all too human, having made some uncharacteristic mistakes. In the game against Colombia, which the Soviet Union was leading 4–1, Yashin let in a few soft goals, including a goal scored by Marcos Coll directly from a corner kick (the first and the only goal scored directly from a corner in FIFA World Cup history). The game finished in a 4–4 tie, which led the French newspaper l'Equipe to predict the end of Yashin’s career. He did, however, make an outstanding save against Chile in the Quarter-Final. Despite this, the Soviet Union suffered a 2–1 defeat and were eliminated from the World Cup. Despite the disappointment of the 1962 World Cup, Yashin would bounce back to win the Ballon d'Or in December 1963. One of his best performances that year was the 1963 England v Rest of the World football match, where he made a number of spectacular saves. From that point onward he was known to the world as the "Black Spider" because he wore a distinctive all-black outfit and because it seemed as though he had eight arms to save almost everything. But to his fans, he was always the fearless "Black Panther". He often played wearing a cloth cap of burnt-brick colour. 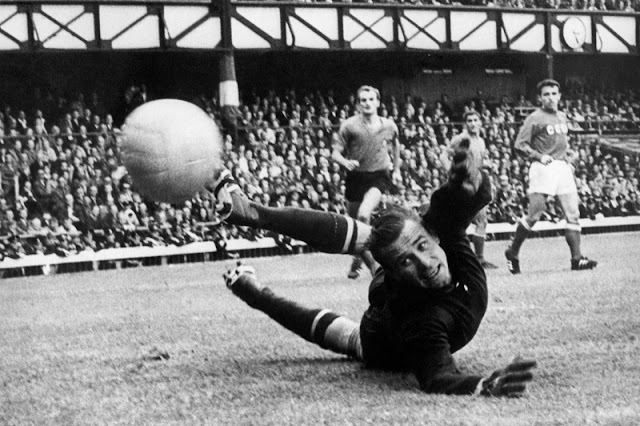 Yashin led the Soviet team to its best showing at the FIFA World Cup, a fourth-place finish in the 1966 World Cup held in England. Always ready to give advice to his comrades, Yashin even made a fourth trip to the World Cup finals in 1970, held in Mexico, as the third-choice back-up and an assistant coach. The Soviet team again reached the quarter-finals. In 1971, in Moscow, he played his last match for Dynamo Moscow. Lev Yashin’s FIFA testimonial match was held at the Lenin Stadium in Moscow with 100,000 fans attending and a host of football stars, including Pelé, Eusébio and Franz Beckenbauer.